I am putting together a series of posts encouraging thanatourism. 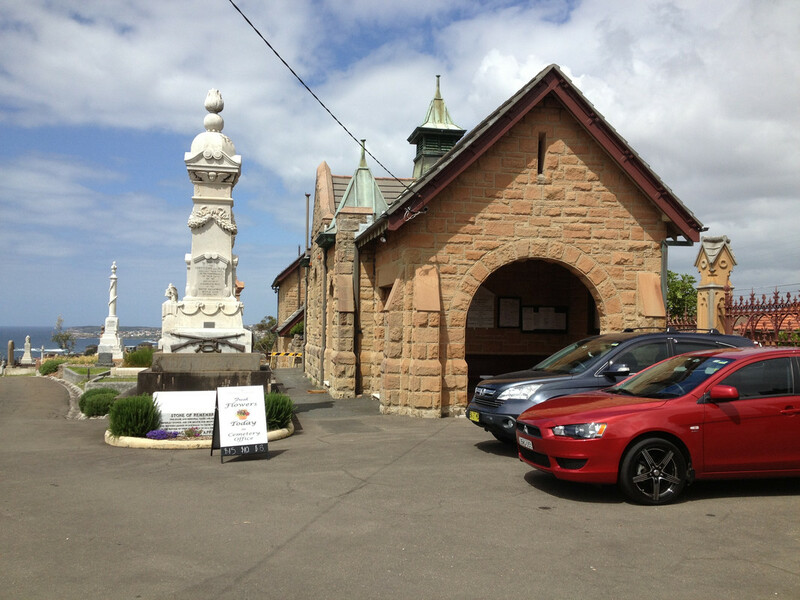 The visiting of funeral sites (in this case cemeteries and crematoriums) for recreation. 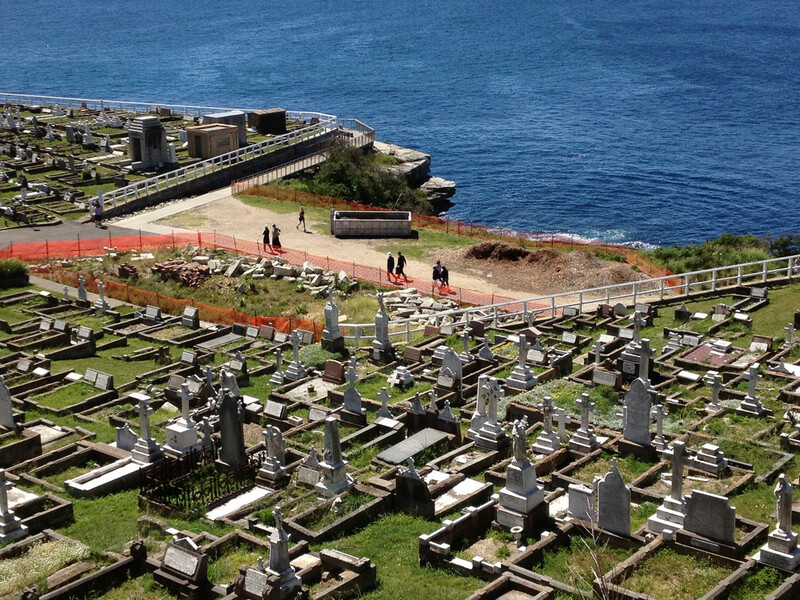 To start the series I begin with Waverley Cemetery, one of the most beautiful places in Sydney. Perched on a cliff in Bronte is has wonderful views of the ocean. 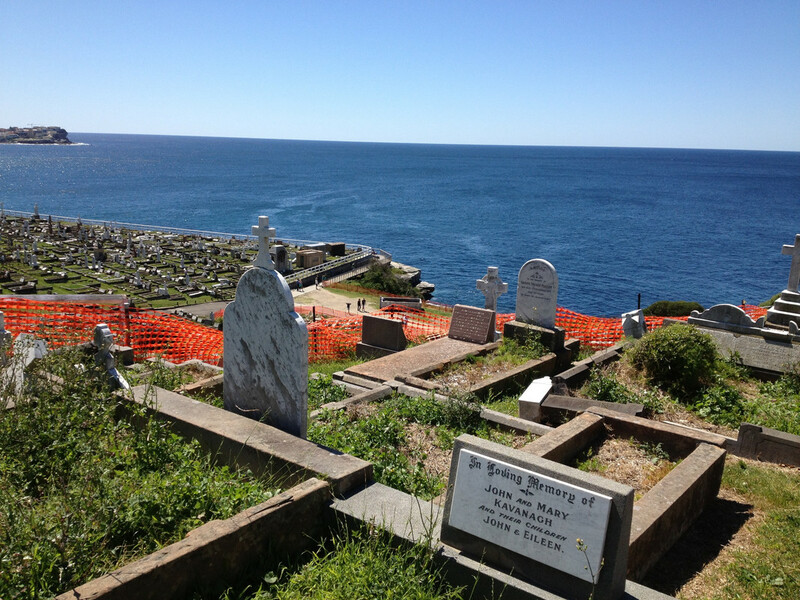 The many historic white graves make the view even more impressive. 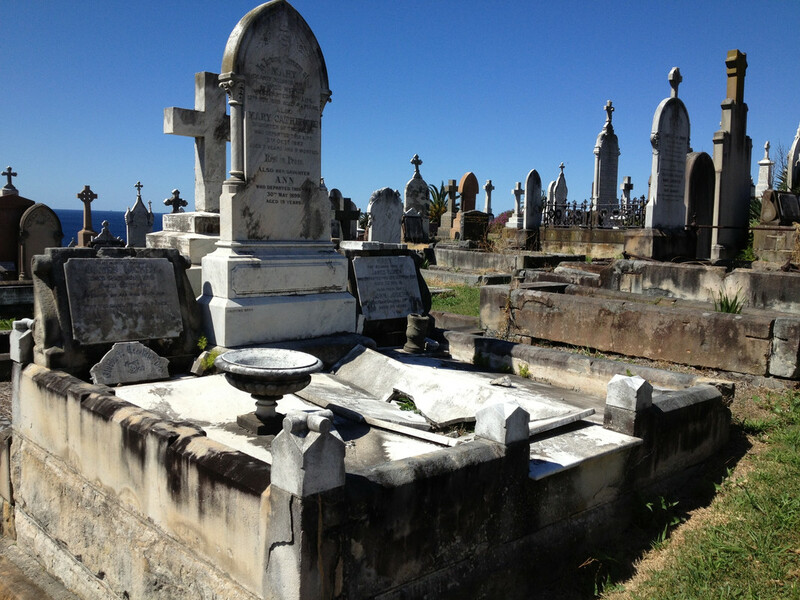 This post has photos and a suggested walking path through the cemetery. To see some of the best bits while enjoying a comfortable route. You can view all of the photos shown here and more at this Facebook gallery, or even more at this Postimage gallery. All photos were taken by me, and as such I encourage others to use them where and how they like. 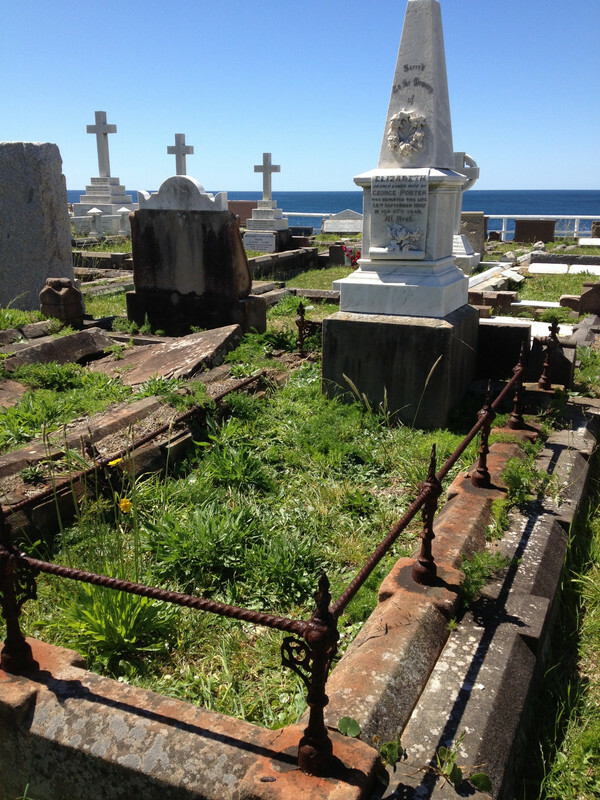 My 'inside look' of Waverley Cemetery - it covers some useful and interesting information. 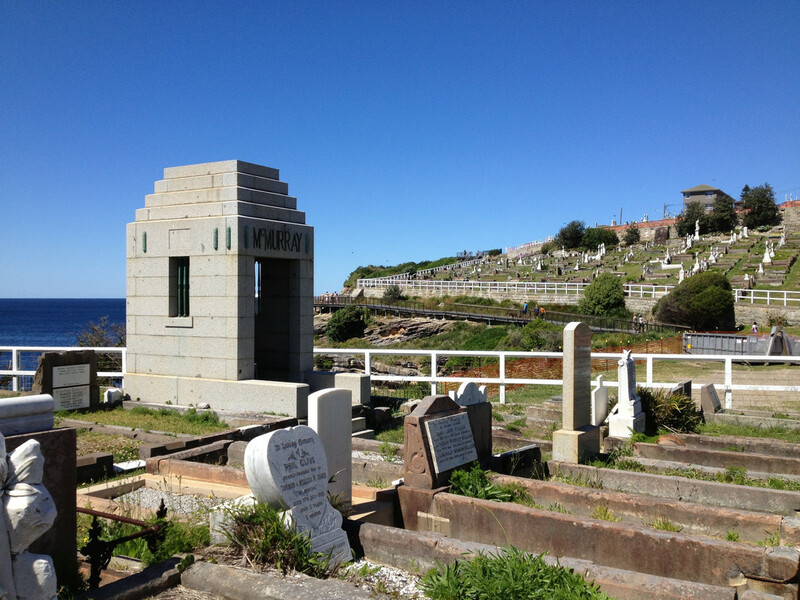 Waverley Cemetery is located on St Thomas St, Bronte, on the coast. It is easy to find and get to, and easy to spot. The main gate and office is on the corner of St Tomas St and Trafalgar St. 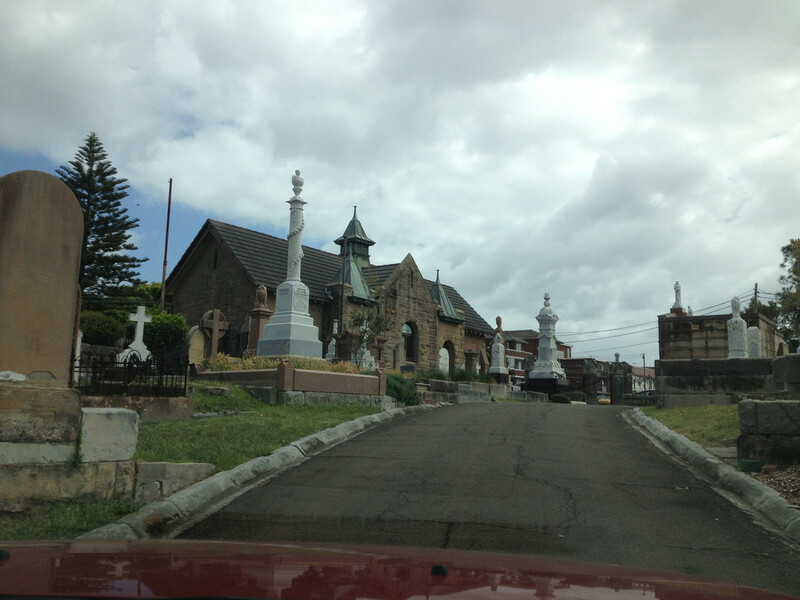 The best place to park is on the South side of the cemetery in Boundary St. 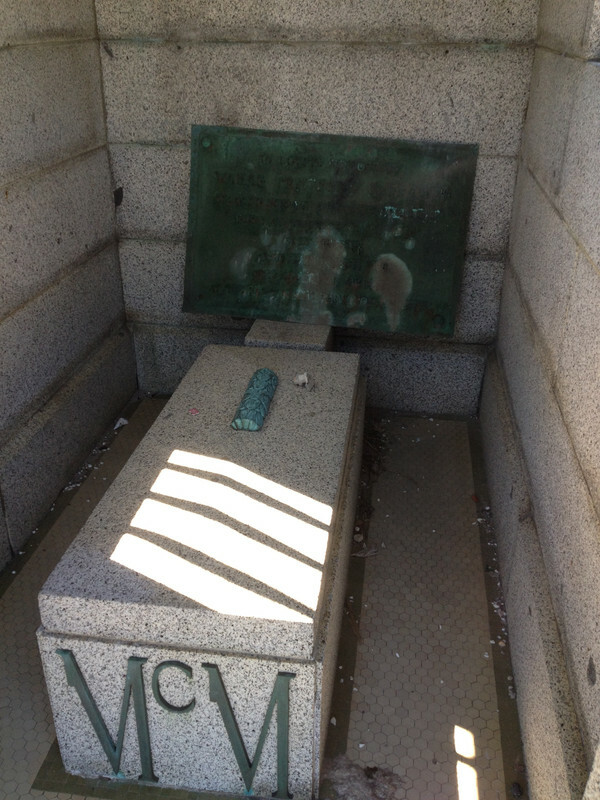 I placed the marker on the google maps there as this is where the gate to the cemetery is. But the fence is low and easy to jump over, and further down to the coast there is no gate or fence. So if you park here you will not be locked far from the car, even after the cemetery is closed. There is always parking here, even in busy times I have never had trouble finding a nice place to park. Also, there are tall trees, which means there are shady spots. Driving is not a good idea in Waverley. 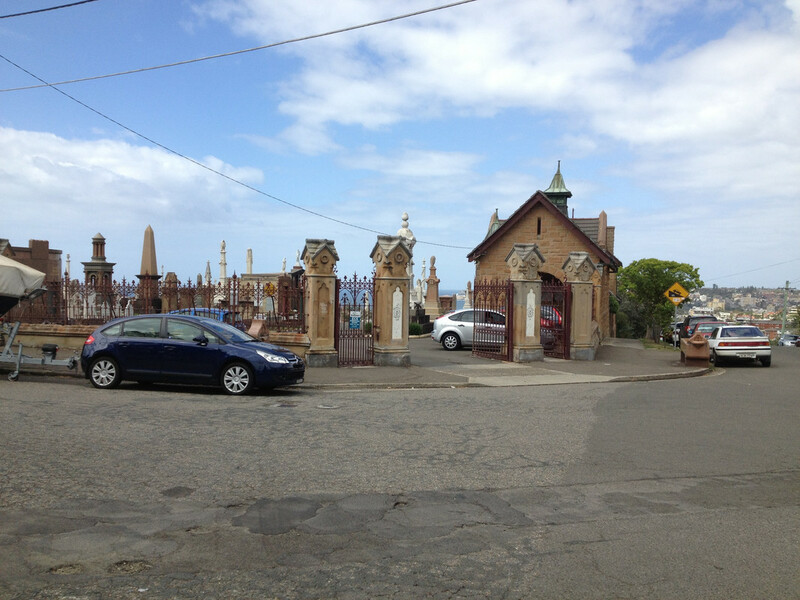 The roads are narrow, corners are tight and there are few places to park within the cemetery itself. 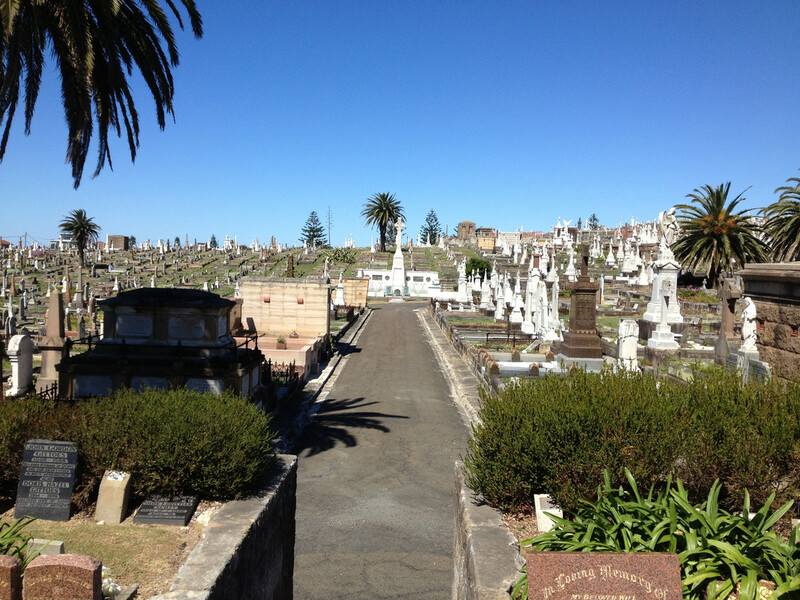 The cemetery is fairly small and easy to walk, so instead walk around the place. Having said that you can drive if you want, but do not block roads. 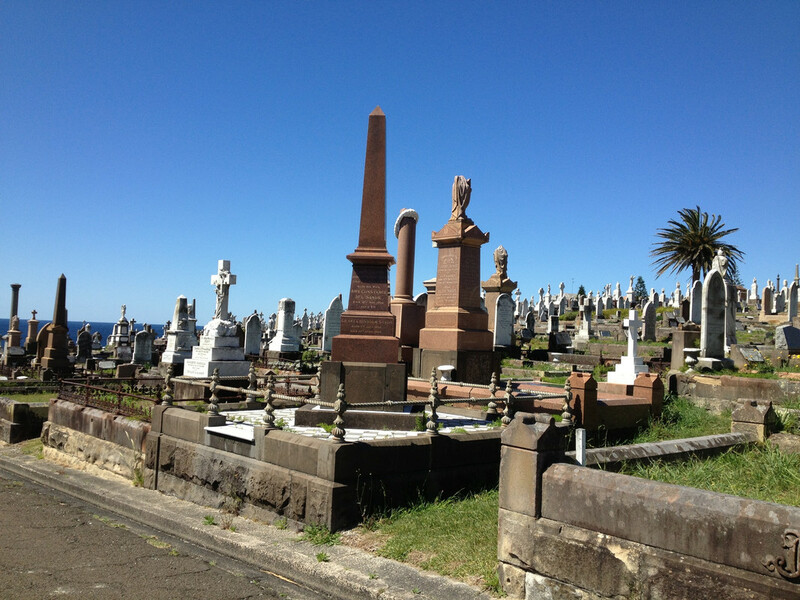 cemeteries in Sydney. Every time I am there I find others also taking photos. 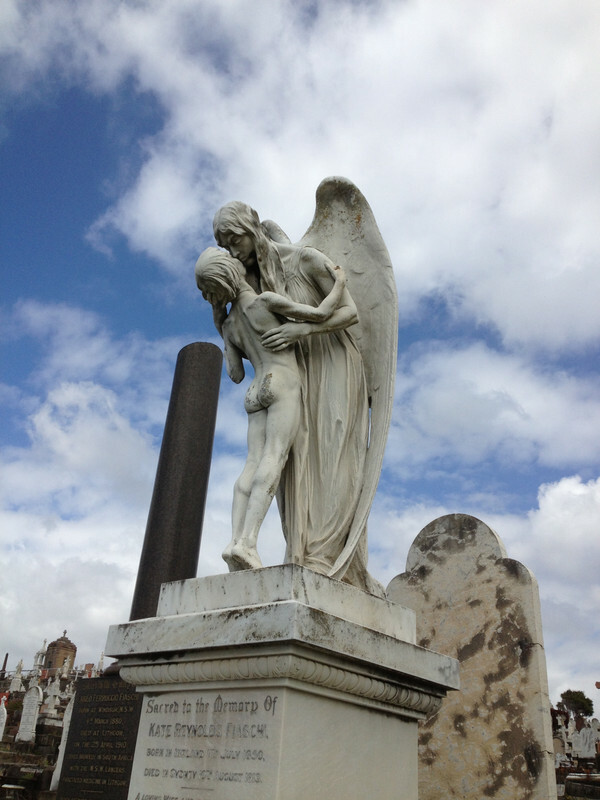 The Intimate Angel, find it on the main road! Always keep in mind that Waverley is a work site. 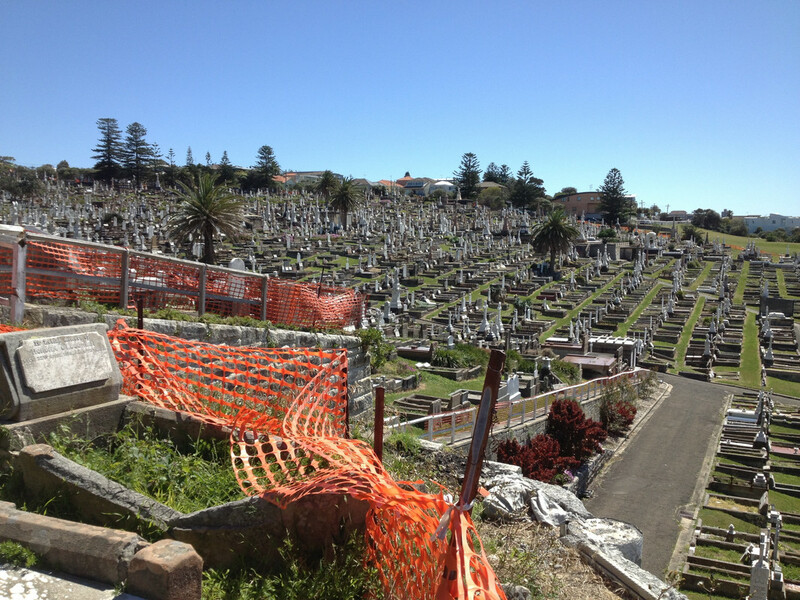 They do construction, restoration and burials here, even on weekends. While the chances of seeing staff outside the office is low, do not block the road or get in the way. But if they aren't too busy go up and have a chat! The staff at Waverley are nice. The roads are narrow, the corners are tight and some parts are hilly. Walking is much better than driving here. 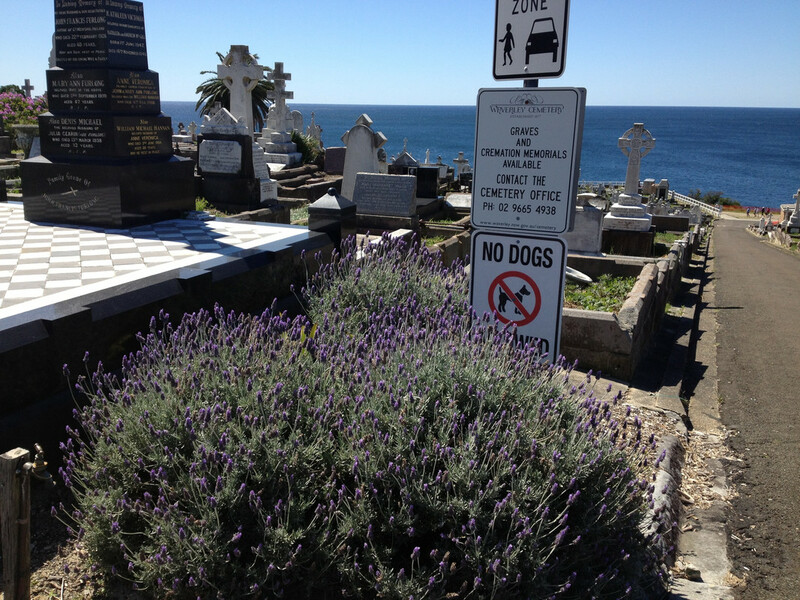 Think of the cemetery as like the beach. It is hot and sunny in summer and cold and windy in winter. Bring sunscreen and water in summer and a coat and umbrella in winter. The ground is often soft and uneven, wear appropriate walking shoes. 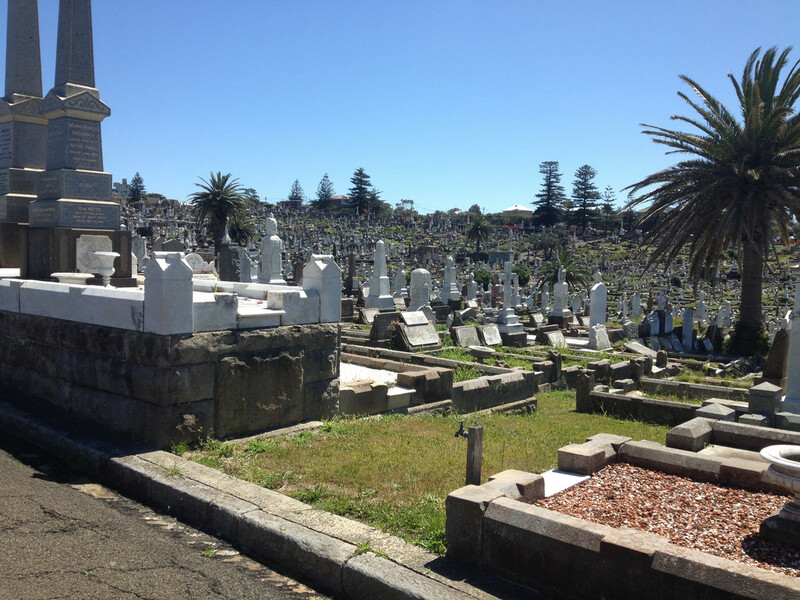 This is a fully operational cemetery. We ask visitors to help us care for it by keeping to the following simple guidelines. 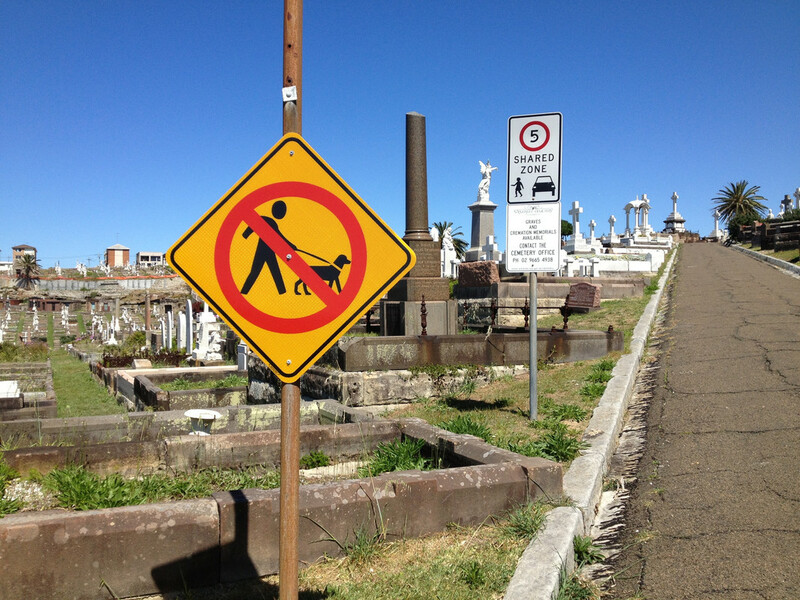 - Dogs are not permitted in the cemetery. Penalty exceeds $100. 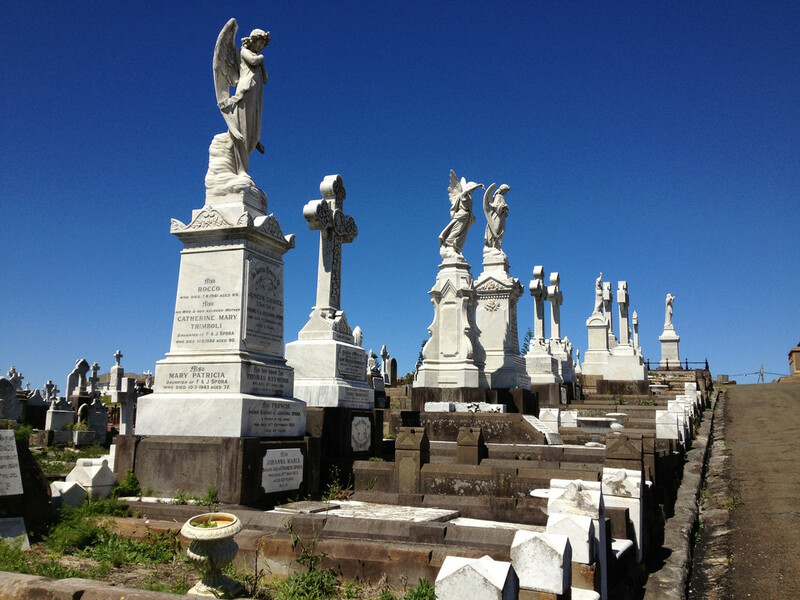 - The cemetery grounds are open to the public from 7am to dusk. Do not trespass. - Observe all directions and barricades for your safety and information. 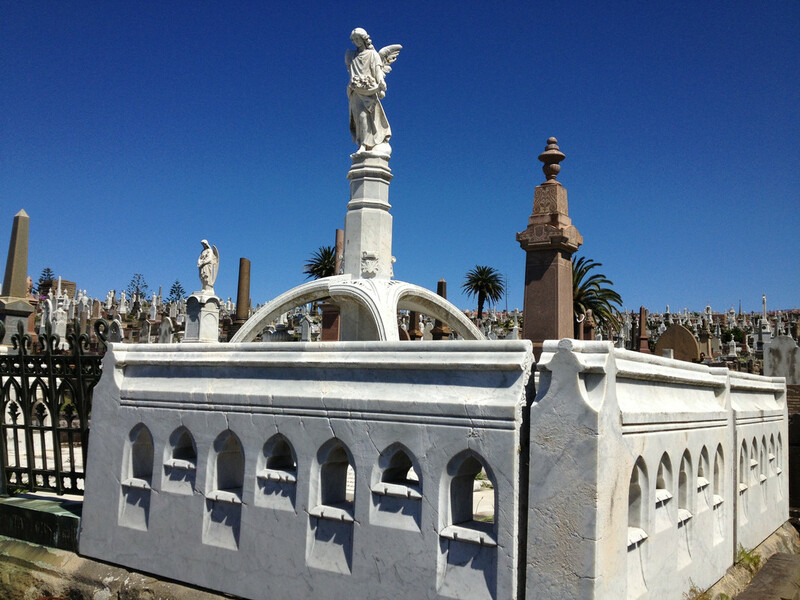 - Only use the formal entry points to access the cemetery grounds. - Do not walk over allotments or monuments or approach any construction or a grave being prepared. 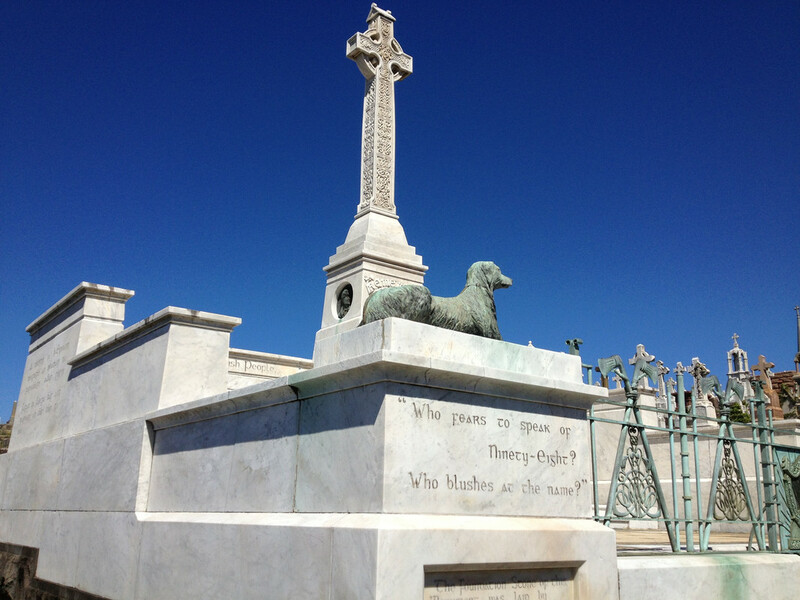 - Respect the needs of grieving families and other patrons - a cemetery is a place for remembrance and quiet contemplation. Your conduct and dress must be appropriate. - Place your rubbish in the litter bins provided or take it with you. 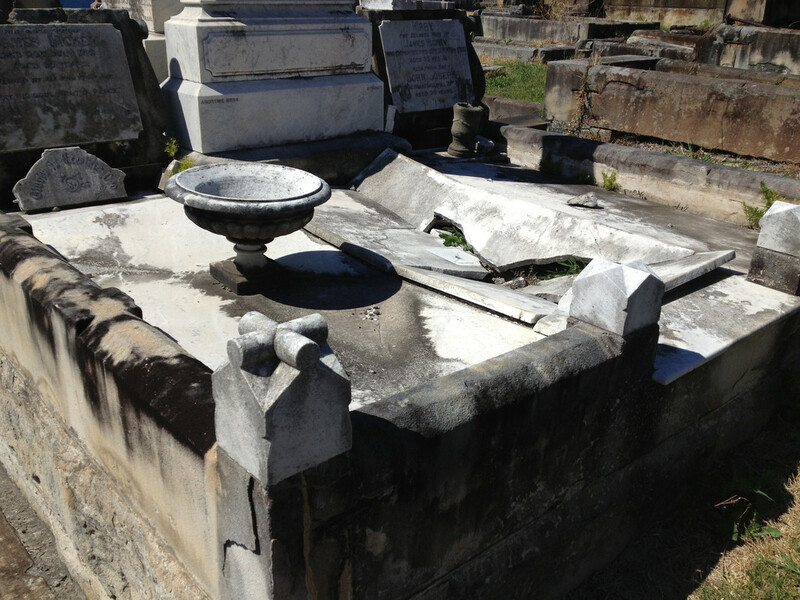 - If you notice any evidence of vandalism during your visit, please report it to cemetery management (phone 9665 4938) or Police (phone 9369 9899). - Do not approach any barricaded area, uneven or old pathways. 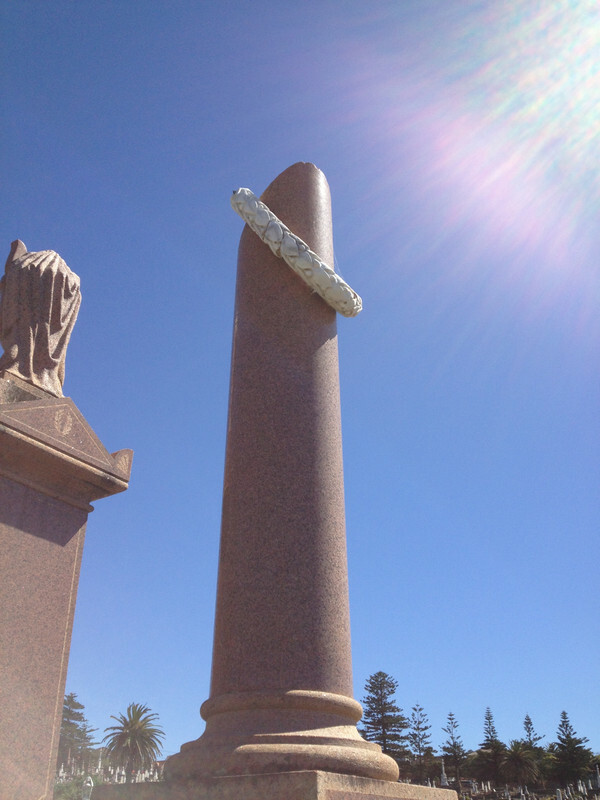 Please do not:- Damage or deface any monument or structure. - Damage or remove plants. - Play ball games, ride motorbikes or skateboards. - Jog or cycle, other than on the roadways (and watch for cars). I found this rather amusing considering it discourages things I promote. The most obvious is jogging off the road. I support jogging off the road, as long as the jogger remembers the ground is uneven and might have holes then it should be fine. 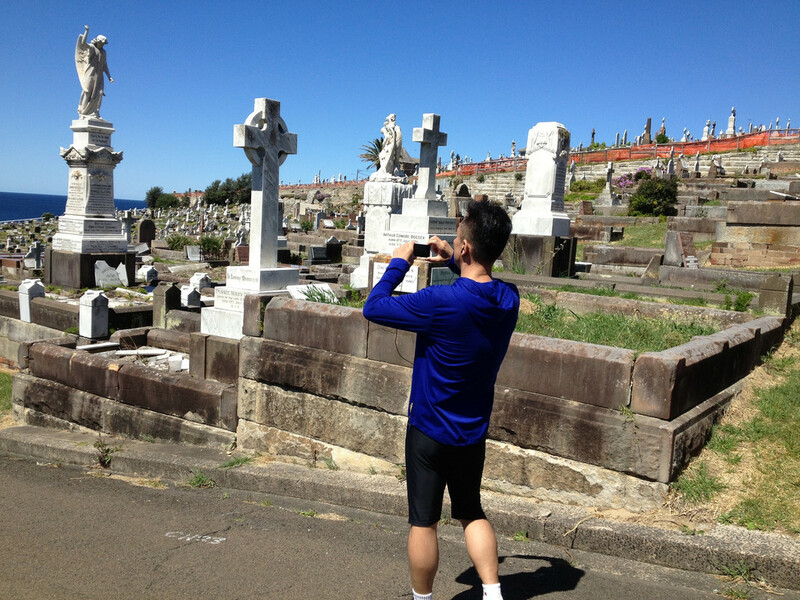 Jogging through a cemetery would be no more dangerous than jogging in a park. 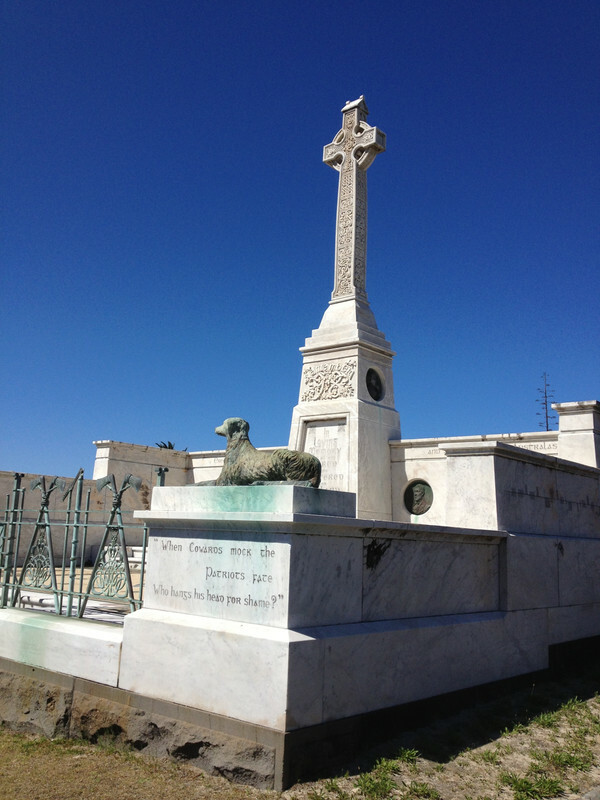 But the best part is when it says "a cemetery is a place for remembrance and quiet contemplation". This is exactly what I am arguing against with these posts on thanatourism. 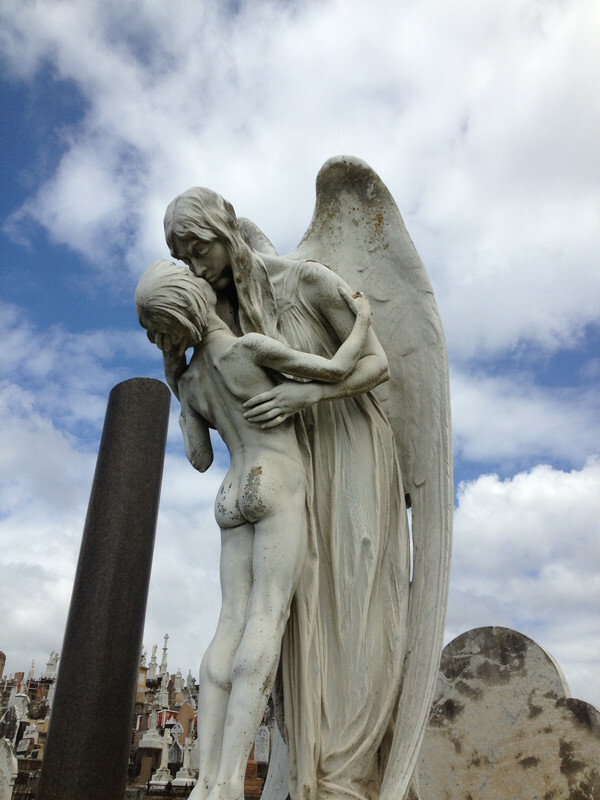 yes, a cemetery is a place for remembrance and grief, but there is more to it than just this. And maybe we should be re-thinking this idea as well. Either way, common sense is the most important rule when exploring Waverley. View of the main gate from the street. Even though I suggest parking on the South side, it is best to start at the main gate and office. There are side gates, and more parking at the sides, but the main gate is easier to find. The office has maps and friendly staff, both of which can be helpful if there are any issues or doubts. My guide below assumes you are starting from the main office. But you could just start with the second part of the guide to get to the main office and then follow the first part to get back to the South side. The office from inside the main gate. In total this walk should take 20 to 45 minutes depending on how fast you walk and how often you stop. The walk is picked for a combination of good scenery and ease. It is an easy and mostly even walk with some great things to see. This is the first part I recommend - into the cemetery. Go along the main road, towards the coast. 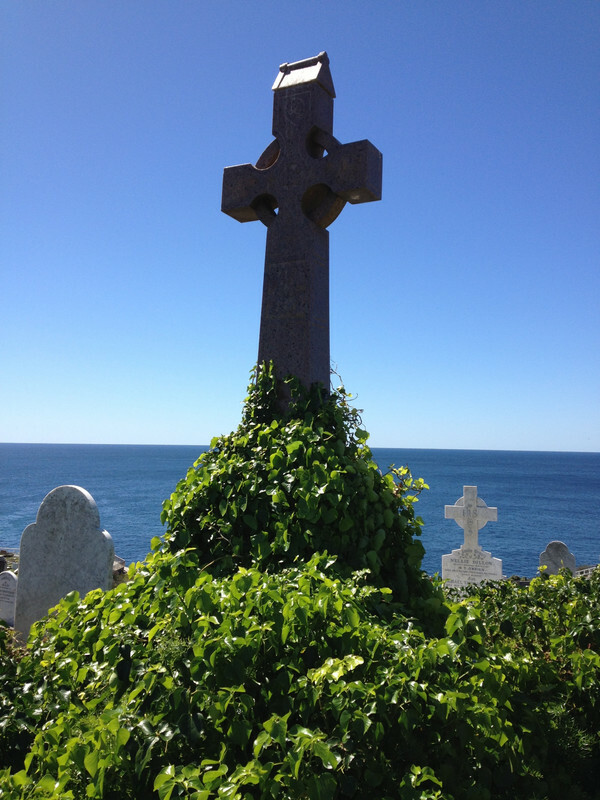 This will give you wonderful views of coastline, cemetery, city/airport in the distance and is an easy walk as it is down hill. It will take you to the large round-about which is a great place to stop and take photos. You can see some photos I took from on top the round about below. Supposedly this is a bus stop, there are a few scattered about Waverley. Walk south of the round-about, towards the large white memorial at the end of the road seen below. This is the Martyr's Memorial, built in 1898 and dedicated to those who died in the fight for Irelands independence in the 1700s. According to the Waverley brochure it cost £2,000 to build at the time. It demonstrates a strong tie to Ireland in 1890 Australia. 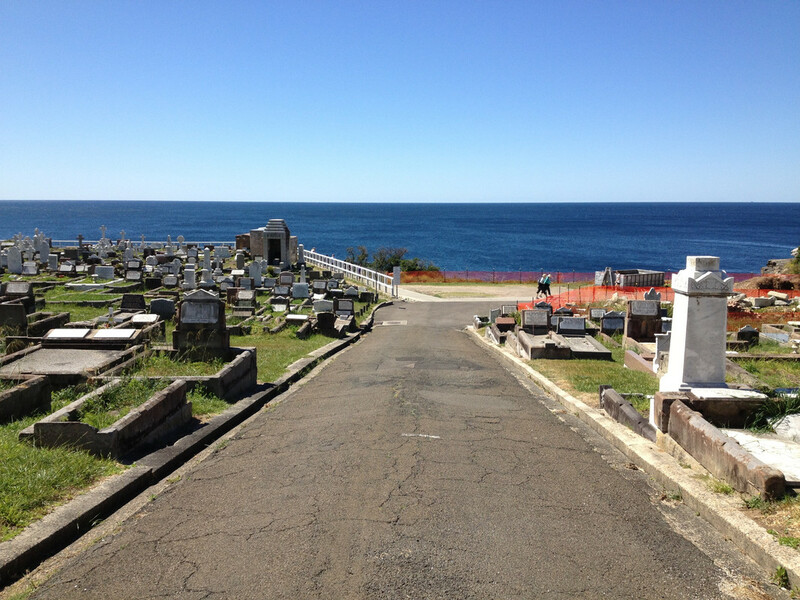 Continue on towards the coast, again this will be all down hill and have great views of the coast and cemetery. There are several notable graves long the way. 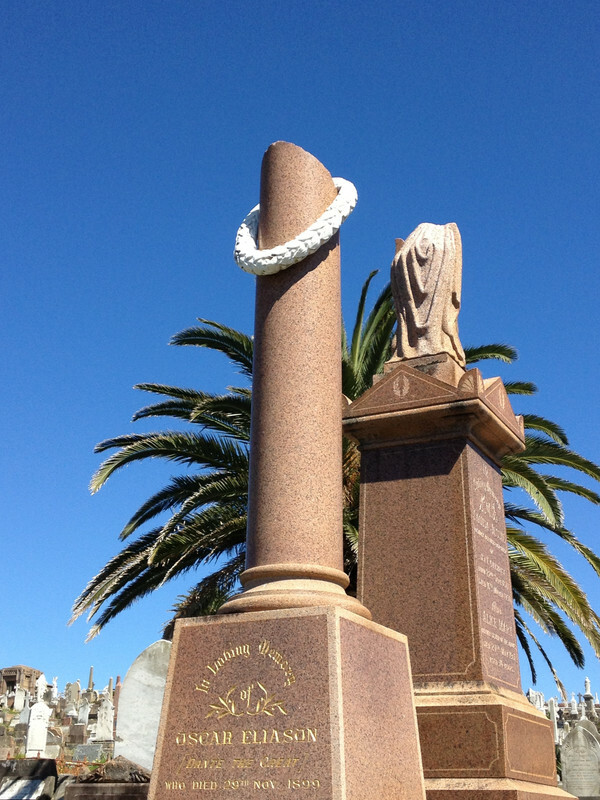 My favourite was a cut column with a wreath on top, as shown below. I am told that a broken pillar "represents a life cut short". 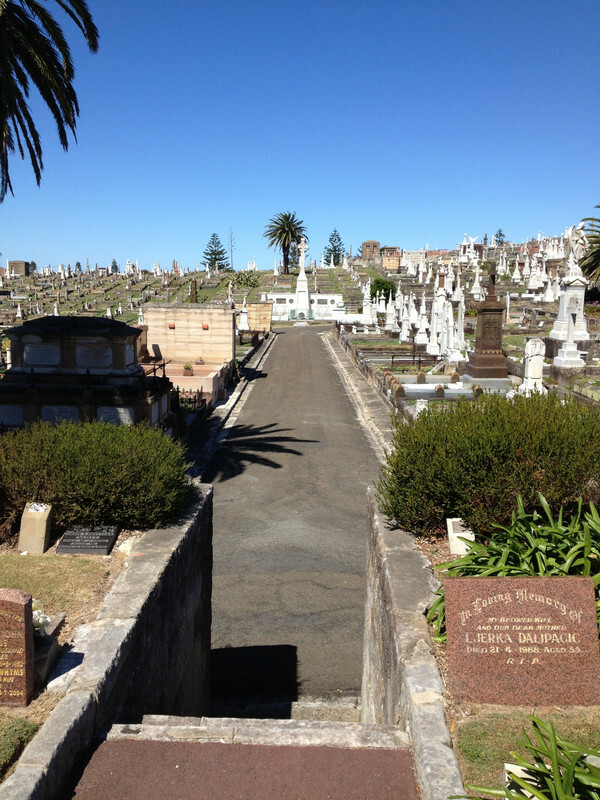 You should come to the end of the cemetery, where the walking track joins with the cemetery for a very short distance. Before continuing with the walk take a moment to watch the walking track and how people use it. This track is quite busy, lots of walkers and joggers use it. Yet so few leave the track and explore the cemetery. It is an odd use of the land, even though the track and cemetery meet there is still and obvious boundary. Turn left and walk North, following the edge of the cemetery as you do so. 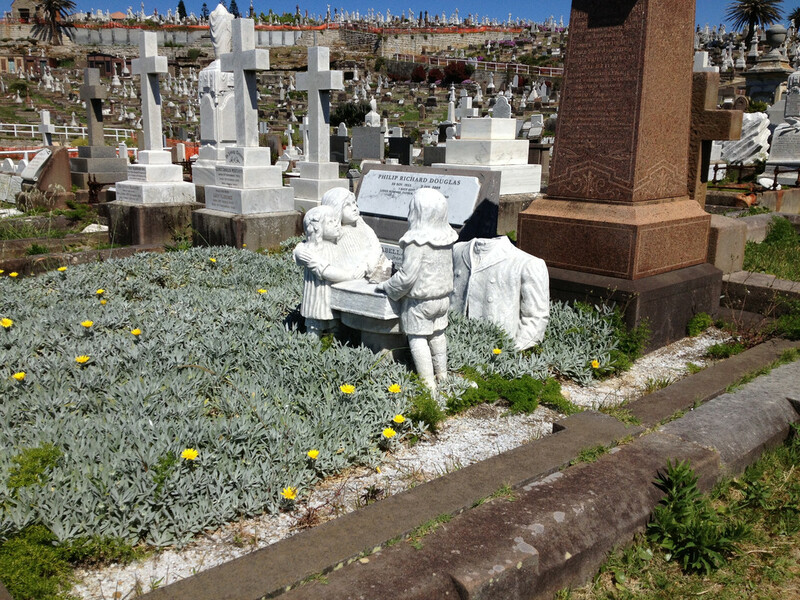 There are some really interesting graves around here, such as the headless statue and children. Only go as far as you like, this is not really part of the 'tour' but an interesting diversion. 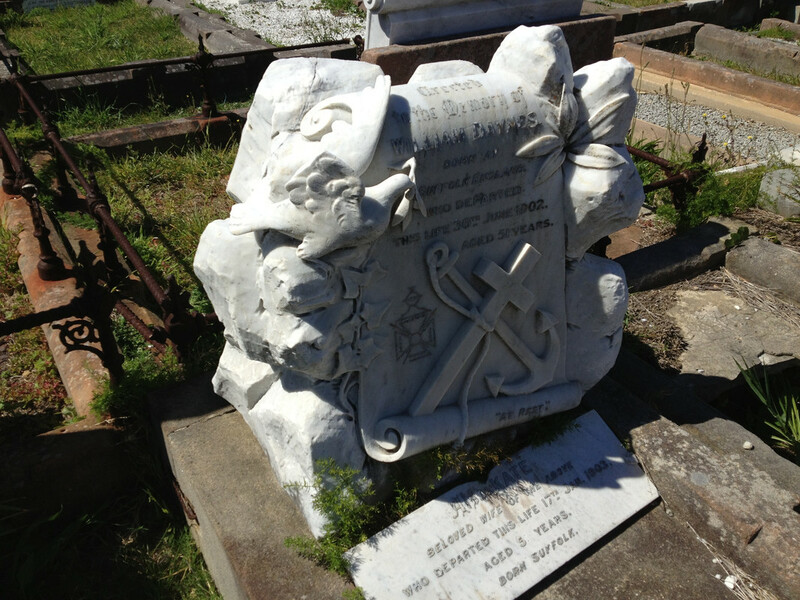 There is a strong ocean theme to many graves around Waverley. 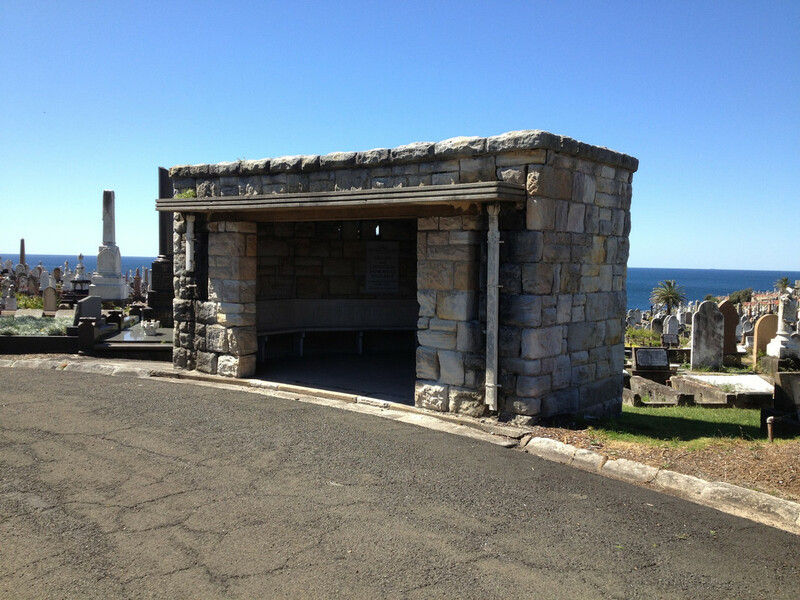 A small crypt on its own. The plaque has worn so much it is mostly illegible. 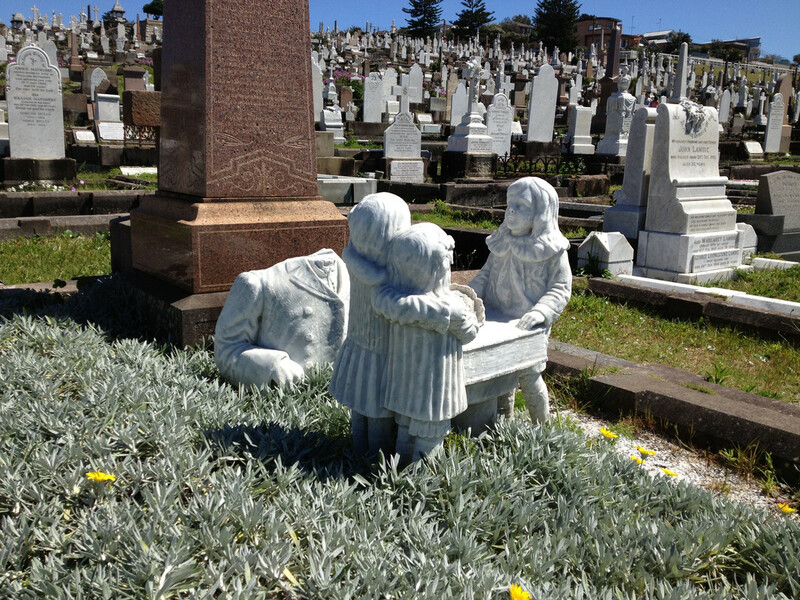 A strange headless statue and children on a grave. Act of vandalism, accident or natural wear and tear? The rest of the statue looks ok, so I doubt it was natural wear and tear. 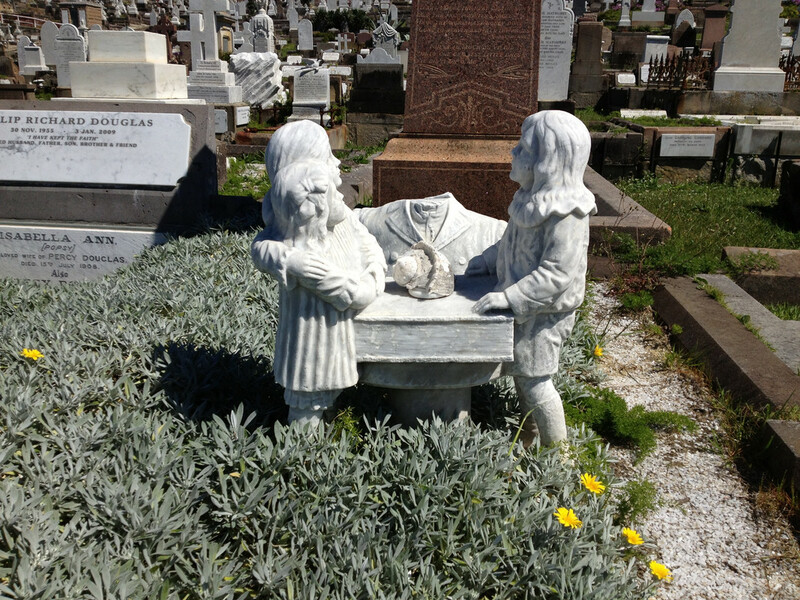 Missing heads in cemeteries is actually more common than many think. 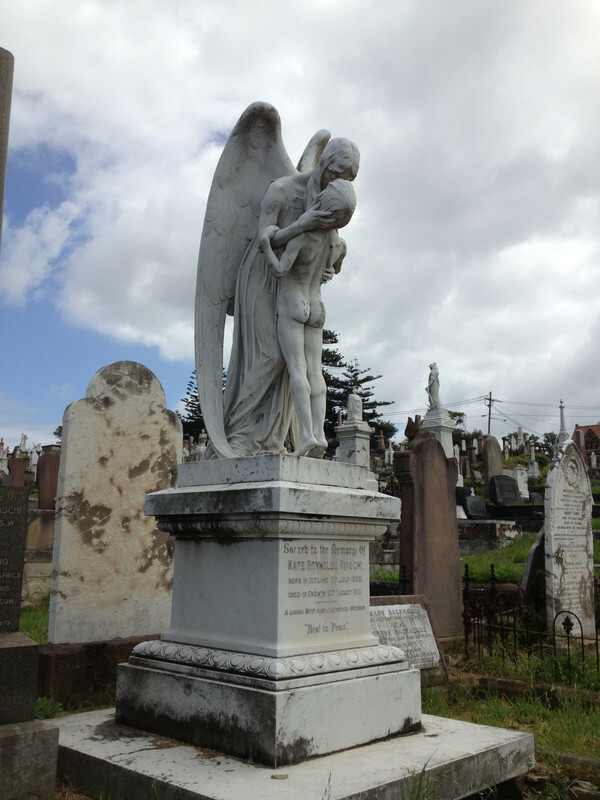 I have found statues like this in several cemeteries around Sydney. powder when touched in some places. 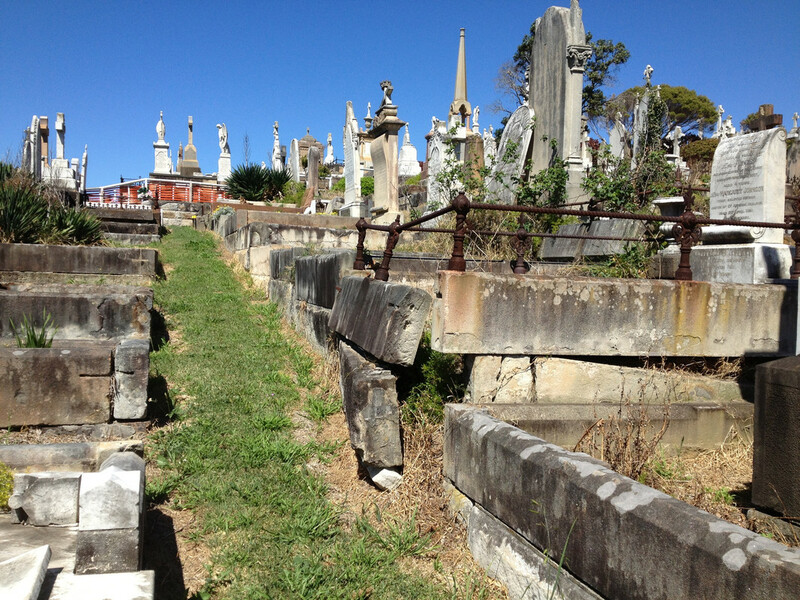 After exploring this area double back to where the walking track and cemetery join. 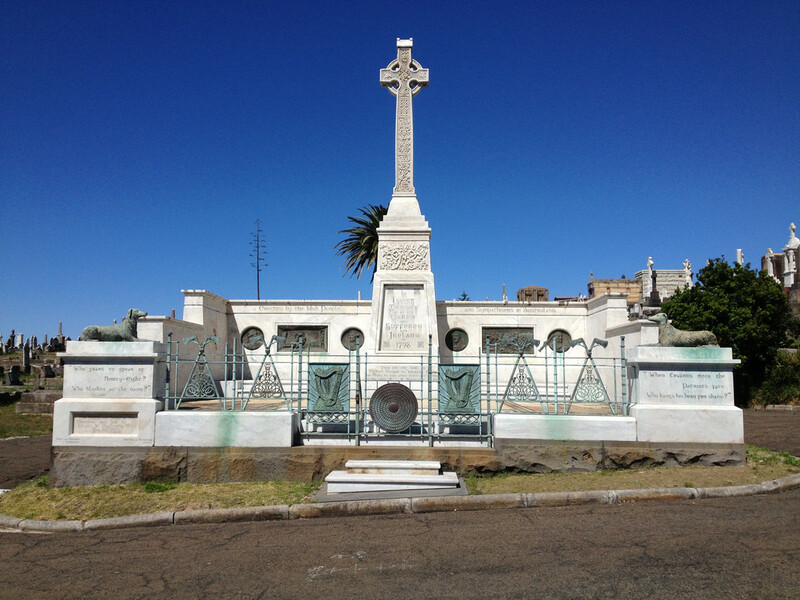 Move South, along the edge of the cemetery. 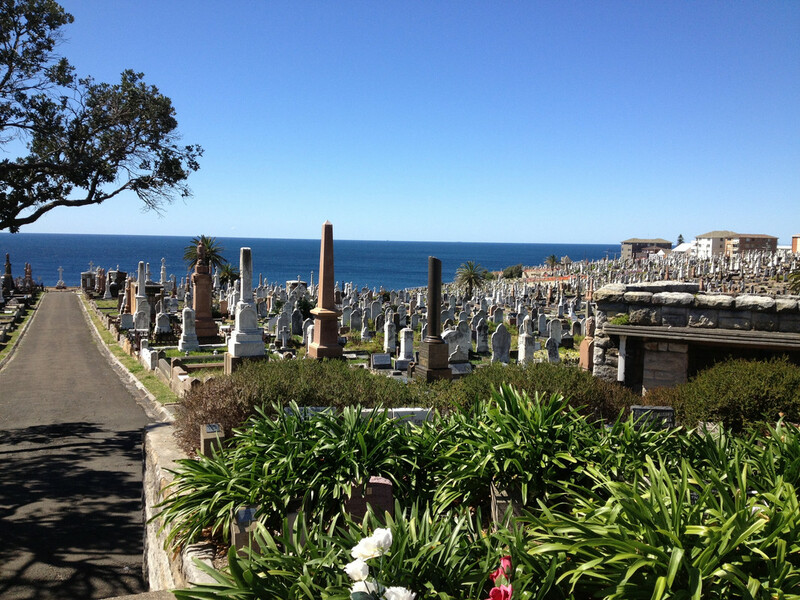 Stay in the cemetery for the best scenery, while many use the track the cemetery is higher and has better views of the coast. recently found on the main road to the round-about. I won't say where exactly so others can have fun looking for it. 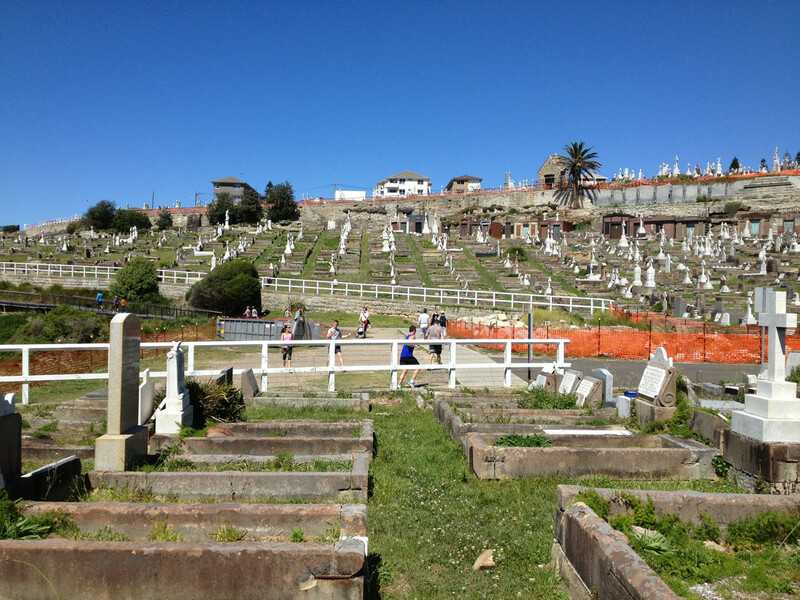 Follow the white cemetery fence all the way, you will come to some stairs which lead to the end of the first part. These stairs lead up to a turning circle and the road (and a bus stop). Now it's time to head back! This is the second part I recommend - towards the main gate. 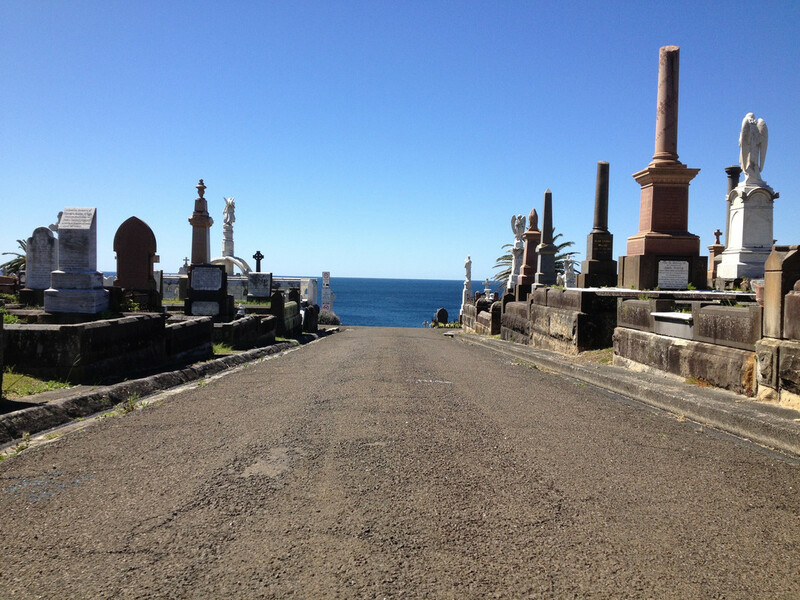 Walk along the main road within the cemetery, going away from the coast. Although this road is uphill it is a slight and gentle slope. Much easier than the main road in this direction. 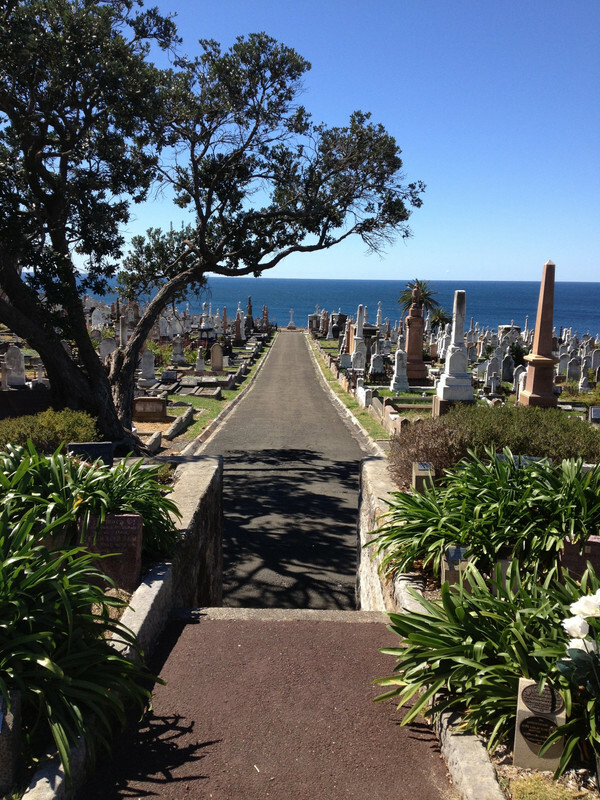 But I suggest turning right (North) and walking towards the palm tree on the cliff within the cemetery. There are some really interesting graves around here. 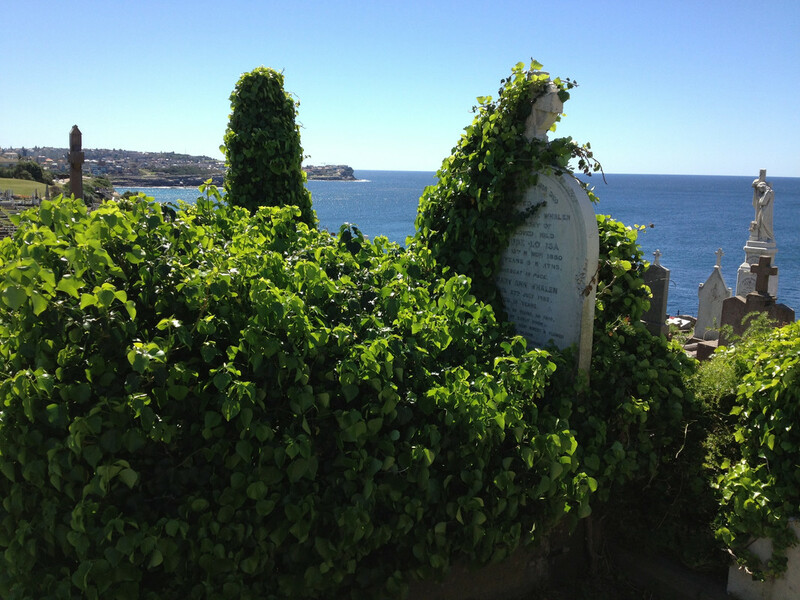 This is where I found the grave being 'consumed' by vines shown below. Also, the views from on top the cliff are great. Unfortunately the cliff is falling down, it is safe but parts are fenced off. 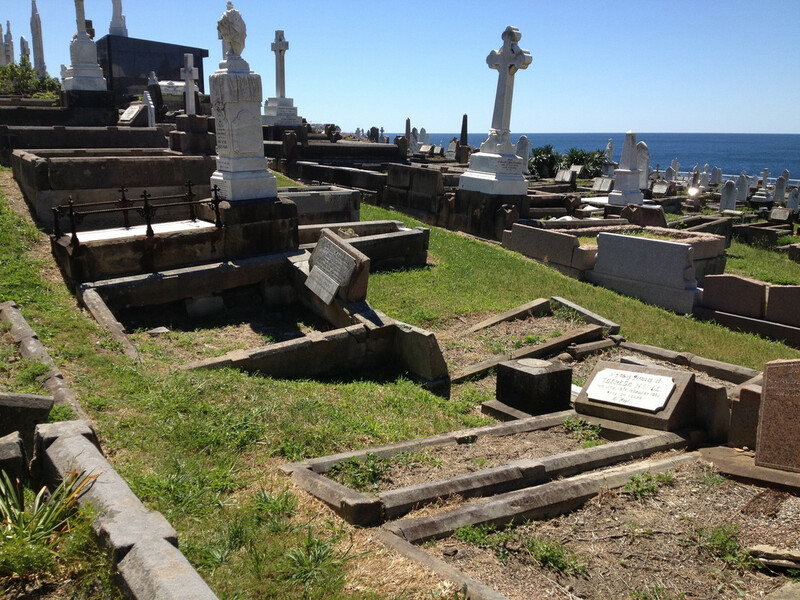 I cannot put this part into google maps as nobody has mapped walking paths through cemeteries. So just walk as you feel fit, explore a little. View of the walking track and ocean. animals in the middle of a city. the rest fall off quickly. 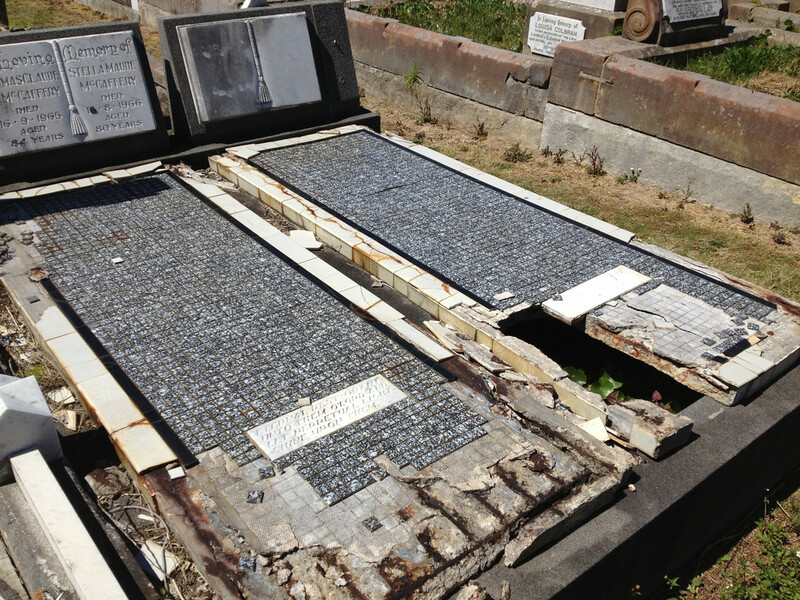 Without tiles to protect it the grave begins to collapse. After looking about this area go away from the coast (West) towards the road again. After a short distance you will come to a fork and can go one of two ways. My guide goes right as this is the easier path, shorter and not quite as difficult. But going left will take you to the crypts/vaults and has more to see. This is a route for the alternat path, they both lead back to the main gate and office. It's more scenic but also a harder walk. Headed back to the main office. Either road will take you back to the main office and gate. Which you chose is completely up to you and how you feel. 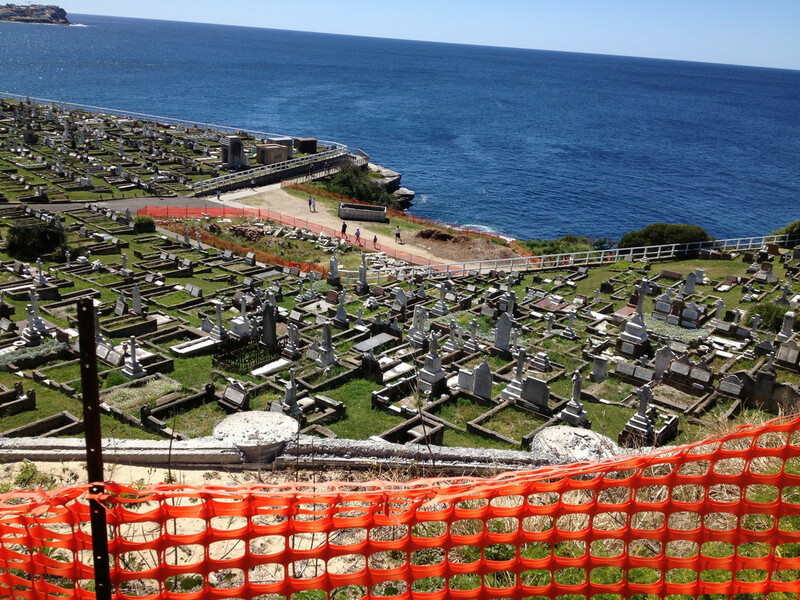 That's Waverley Cemetery. While this walk does not see everything it does see most of the highlights. It is a nice walk, and you can make it as short or long as you like. After the walk there are several parks, beaches and shops in the area to have lunch. Below are some extra photos I took while walking about Waverley. No matter how often I go there's always something new to see. Even the toughest monumental graves crumble in time. 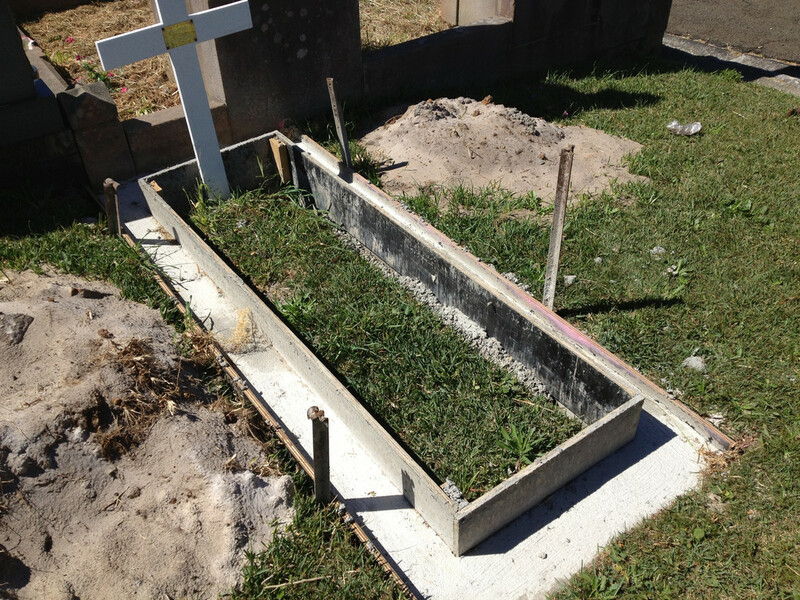 A monumental grave being built.